Remember, people find your site because of the solutions that you offer. Give them just that and nothing more--initially. Your goal is to build trust and goodwill. Do not ask them to sign up for a newsletter or other freebies. They will voluntarily ask for more AFTER you have their trust. 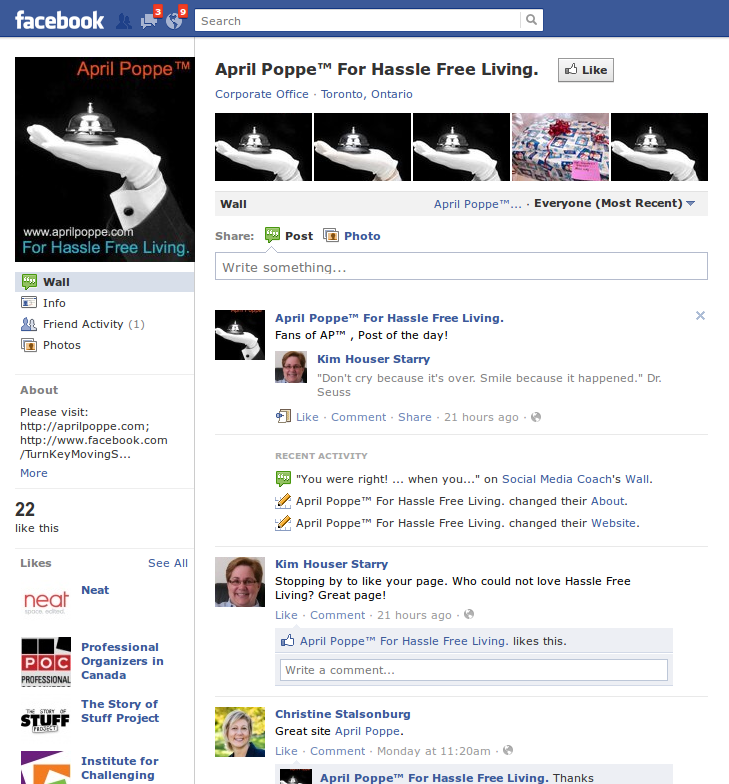 Notice that April's facebook fan page does not even have a welcome tab. 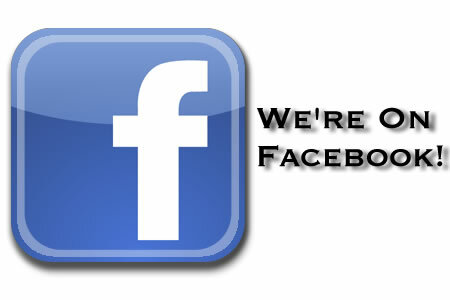 When you click on her link on facebook, it takes you straight to the page's wall. 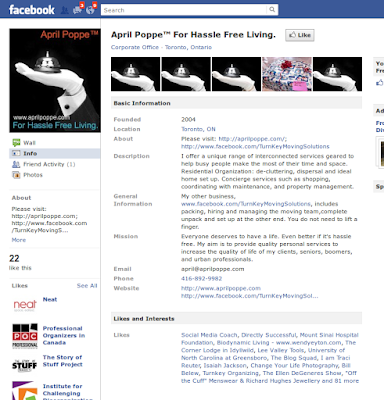 April Poppe's page has her logo on the left hand conrner and is consistent with her over-all message. 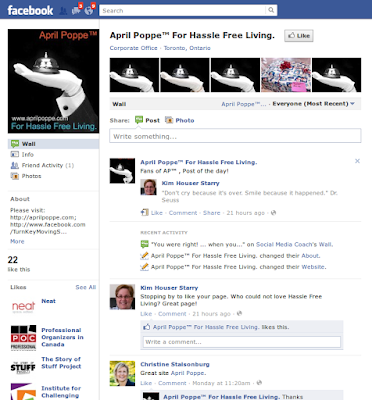 My two cents--people will always choose quality content and engagement over eye candy. If and when they are ready for more, they will tell you about it.